Kavinsky (Vincent Belorgey) is a French electronica artist who rose to fame with his track “Nightcall” being used on the Drive soundtrack. After several EPs, he finally came out with his first studio album, OutRun. Unlike his peers Daft Punk and Justice, both of whom he has toured with, Kavinsky favours retro-electro rather than dance. The album is a soundtrack of sorts for Belorgey’s story behind his stage alter-ego Kavinsky and starts with “Prelude” which gives you a comic book style narrative of Kavinsky’s story – a man who dies crashing his Ferrari Testarossa only to rise from the dead as a kickass electronic-music-producing zombie whose soul has now been linked to that of his car – which then sets the theme for the rest of the album. The second track “Blizzard” struts about with a sharp synth and has an engaging beat. It has the typical cars/speed/driving really fast feeling that’s expected from Kavinsky and puts the album off to a good start. “Protovision” was released on 11th February as a Single/EP just before the release of OutRun. It has a sharp metallic synth throughout. It’s a great song but sounds a little uninspirational on prolonged listening. The vocals in “Odd Look” are sleek and something out of a Massive Attack song. They contrast sharply with the rough synth riffs to result in an interesting combination which sounds disastrous on paper but works in real life. “Rampage” is one of the best songs on the album and gets rid of the sharp synths just in time and employs a dark string melody. It has a delicious sinister feel to it. It has a hypnotic pull. You can’t have only one listen with this song. This is where the album takes a dip. Havoc (from Mobb Deep) features with a (not-so-good) rap in “Suburbia” which is completely out of place in this album. The rap is completely out of sync with Kavinsky’s story. Despite being recycled into the album, “Nightcall”, “Testarossa Autodrive”, “Deadcruiser” and “Grand Canyon” are great tracks. They take the story forward but a Kavinsky familiar might be prone to feelings of stagnancy since the tracks are placed consecutively in the album. “First Blood” comes off as fresh blood here which the album is coincidentally in need of. The soul-filled vocals by Tyson work beautifully. The redundancy of the previous 4 tracks is redeemed by this rock-and-electro-spliced-together song. “Roadgame” is the perfect penultimate track. It sounds exactly like something that’d be playing while the determined hero drives to the climax action scene to confront the bad guy all with the customary violins. This was my favourite track on the album. The last track “Endless” ironically brings the album to an end. It has the same dramatic narrative which now insinuates Kavinsky to have become an urban legend (“Some say they’ve seen the dead cruiser in a flash of lightning…”) and throws in some cool lines like “There’s a gap between living and dying”. Being familiar with Kavinsky, I wish he’d have compiled his new songs into an EP rather than throwing his old songs into the mix and calling it an album. 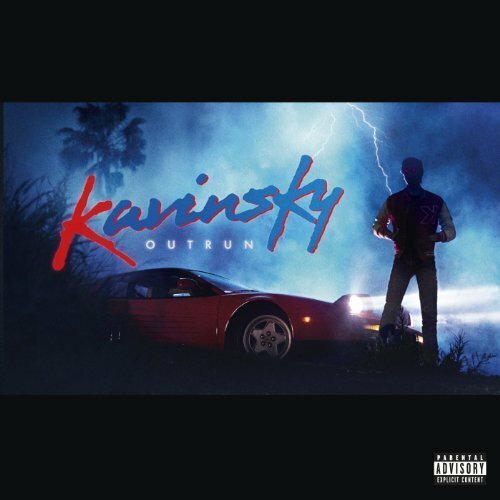 At the same time, Kavinsky seems to have diversified with this album with attempts at infusions of hip-hop (which failed miserably) and RnB (which worked beautifully). All in all it was good album, which shows Kavinsky has evolved without compromising his 1980s music style. This album is highly recommended to electronica enthusiasts unfamiliar with Kavinsky and who are looking for something fresher than electro-pop and dance which are dominating the electronica scene right now.